The final presentation of Business Plan Competition (BPC) [Round-2, 2015-16] was held on 7 April 2016 (Thursday) at BBS Conference Room, BRAC University. The BPC was coordinated by Mr. Md. 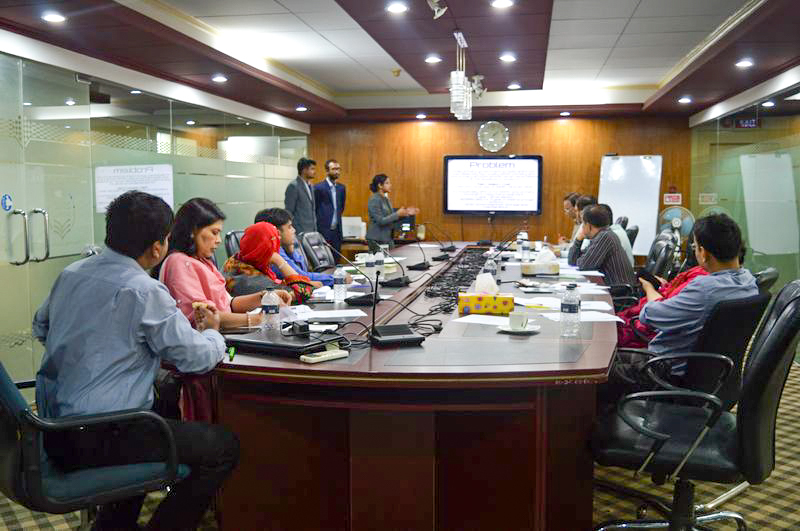 Mofazzol Karim (Program Officer, CED, BRACU), and supervised by Ms. Afshana Choudhury (Program Manager, CED, BRACU) and Mr. Shamim E. Haque (Assistant Professor, BBS, and Senior Research Fellow, CED, BRACU). A Jury Panel of eleven (11) members led by Professor Dr. Rahim B. Talukder (Adviser, BBS and CED, BRACU) was there to judge the business plans submitted by the aspiring incubatees. The panel also checked the feasibility of these plans. 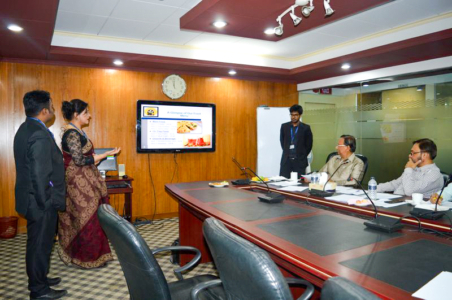 The business plans were evaluated through a “Business Plan Evaluation Grid”. The Jury Panel rated the groups according to various criteria of the evaluations grid, and provided marks to the groups as per their business ideas and presentation performances. After the circulation of the program, initially twenty two (22) groups registered to participate at the BPC. Out of the registered groups, nine (9) groups of students qualified for the final presentation of BPC through elimination process after submitting their business plans according to the supervision of the mentors. 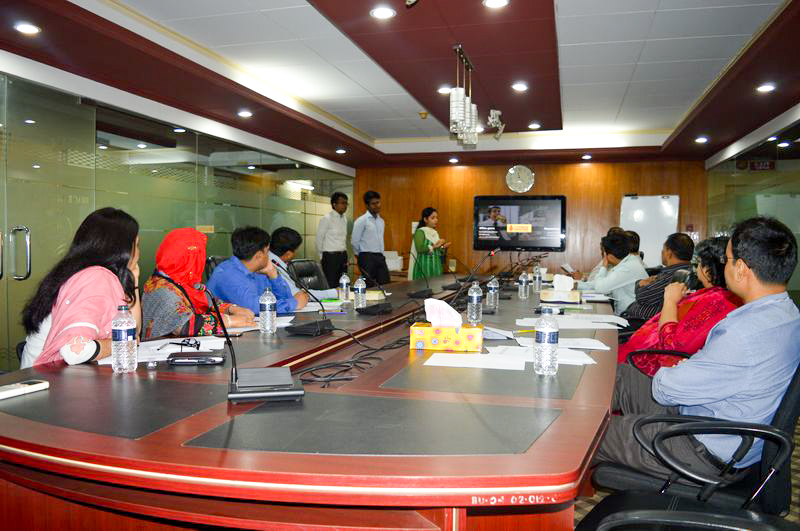 Out of nine (9) selected finalists, eight (8) groups presented their proposals in front of the Jury Panel. 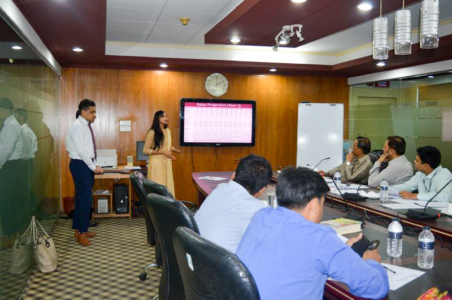 All the groups presented their proposals as per the guidelines of CED, and they seemed to be self-motivated and passionate enough to become entrepreneurs. The Jury Panel judged the feasibility of the proposed business plans and other relevant issues in a meeting held after the final presentation. After deliberations in the meeting, the Jury Panel announced three (3) teams as the winners of the BPC Round 2. These group are: (a) Ten’s Posters & Merchandises, (b) Cutoutbd, and (c) Evolution. These groups will be enrolled to the BRAC University’s Business Incubation Centre established by CED, and funded by Higher Education Quality Enhancement Project (HEQEP).